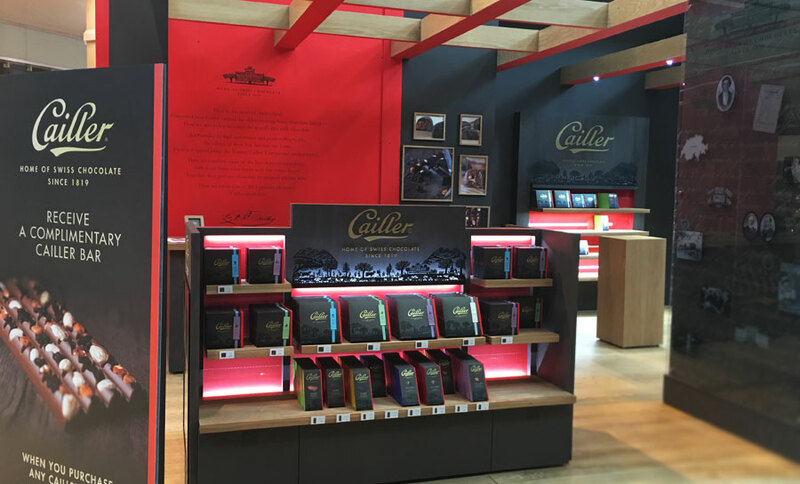 Nestlé brands Cailler Chocolate, a Swiss brand, is taking the innovative approach of introducing the chocolate through pop-up retail store activations in airports and shopping malls featuring Samsung Gear VR headsets. The premium chocolate, now available in the US. 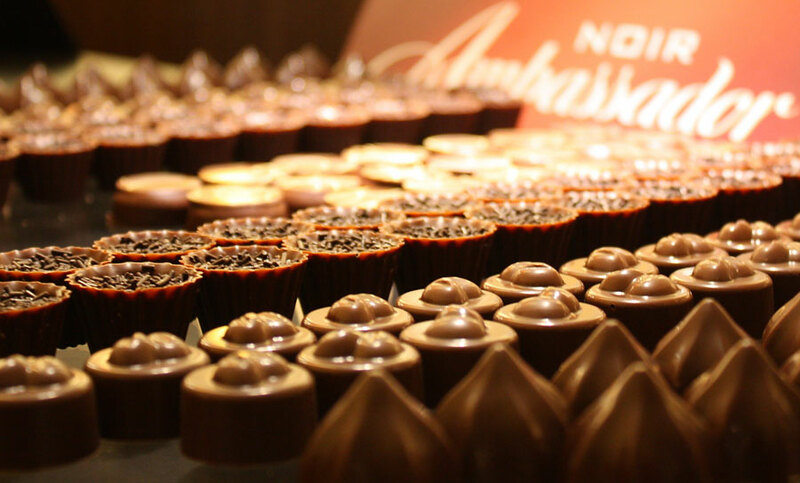 Nestlé is on a mission to bring fine chocolates to the US. 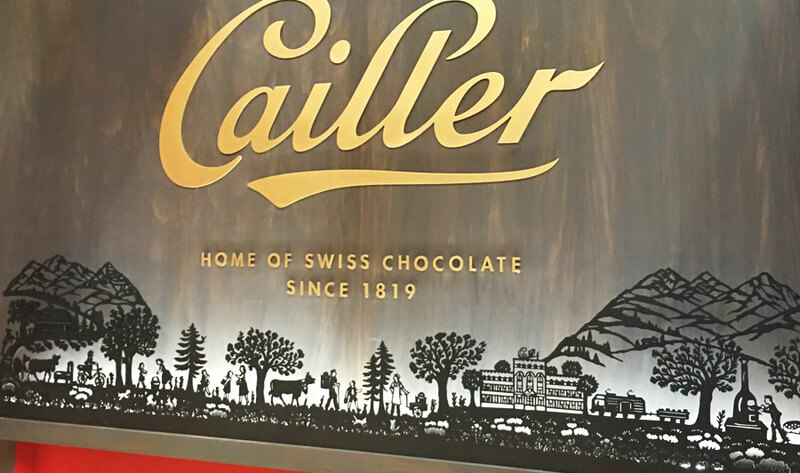 In 2015, Nestlé began selling Cailler chocolate beyond Switzerland as part of their movement into the super-premium chocolate market. What better way to make an introduction after tasting the chocolates is to give everyone a tour of where and how they were made through the power of VR. The Groove Jones team has been asked to create a 1:30 minute VR experience utilizing 360º videos produced in Switzerland by creative agency Jung von Matt, showcasing their famous factory, the cows that produce the regional milk, and the chocolatiers preparing delicious treats. 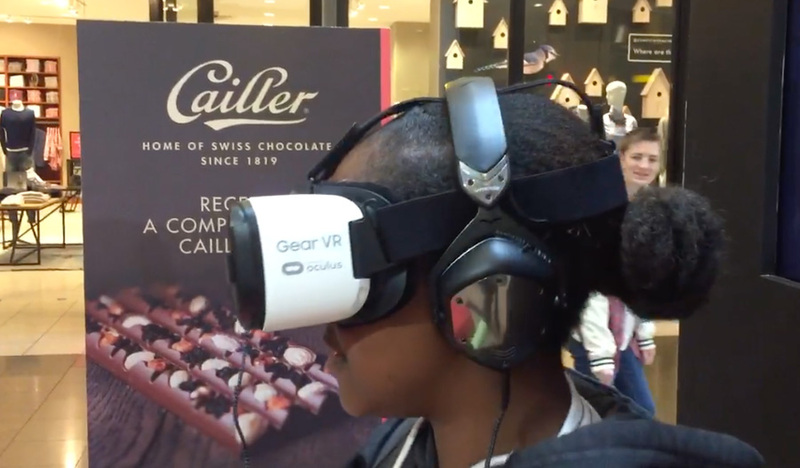 Samsung Gear VR shows off 360º videos of the chocolate making process and highlights the Cailler factory in Switzerland. 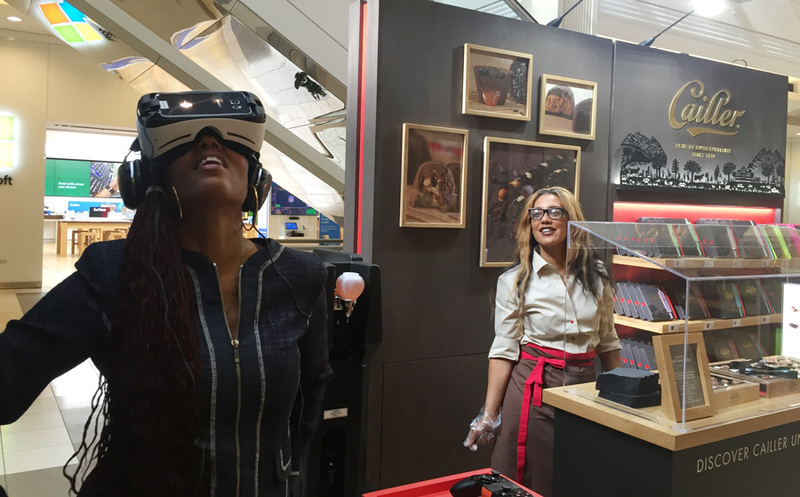 VR being used by Nestlé in a retail environment. One of their objectives is to give you a sensory experience of the chocolates. Nestlé is doing this via sampling, ingredient education, and virtual reality. An animated 360º graphic introduces the participant and transports them across various scenes. Immerse yourself in our world of meltingly smooth chocolate – for an indulgent journey through the history, tradition, and art of chocolate-making of Switzerland’s oldest chocolate brand. VR helps achieve this. The famous Cailliers cows that produce the milk used in the Swiss chocolate captured using specially built camera systems for VR. 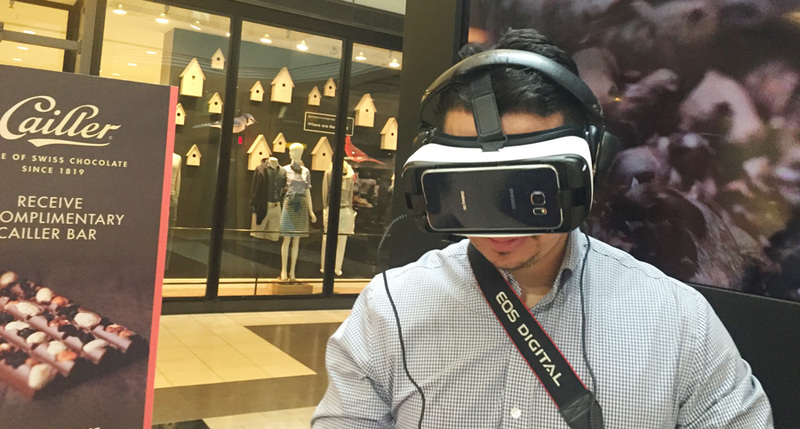 For more information about the VR hardware used on this activation check out our Samsung Gear VR hardware page.